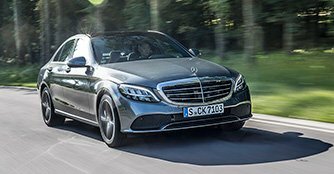 The Mercedes-Benz C-Class Saloon is now supplemented with a compact battery that helps with performance and fuel economy. The very first question I have on my mind is whether the facelifted C-Class is considered a hybrid. 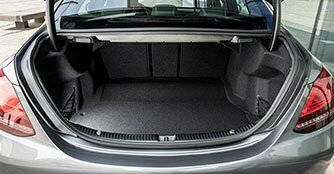 After all, the car is now supplemented by a lithium-ion 48V battery that's located at the boot. 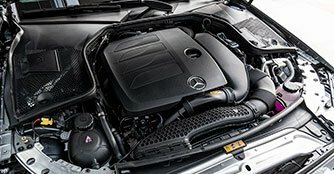 The 1.5-litre turbocharged engine in the C200 is assisted by a belt-driven starter-generator for EQ Boost and the 48V system. Mercedes says it's to make the drive system more agile and comfortable. But after driving over 100km, it's clear that the facelifted car now has a stronger performance with better fuel savings to match. During our time with the car, we managed a reasonable 10.8km/L under very hard driving, which isn't too far off the claimed figures of 14.7km/L. Wait a minute, the C-Class is a hybrid? Personally, I would consider it a hybrid for the very simple reason that there's a battery to boost the powertrain. On the go, the battery can support the engine with an additional 14bhp of power, which helps bridge the gap before the turbocharger kicks in. Upon deceleration, the said starter-generator will recover up to 12kW of kinetic energy, charges the battery and preserve the service brake. This, however, works only in Eco mode. There is now a coasting function with a turned off internal combustion engine, which obviously increases efficiency. Lift off the accelerator and you'll notice the rpm on the tachometer reading zero. Does it affect the way it drives? Most definitely not. The C-Class remains to be a comfortable and smooth drive. With a combined output of 184bhp and 280Nm of torque, the C200 that you see here will have no issues overtaking slower-moving vehicles in your lane. But do not mistake this for a high-performance car. It's no Mercedes-AMG, and it doesn't pretend to be one and that's always a good thing. The C200, for all its good looks and luxurious disposition, focuses more on sophistication rather than sensation. And that has always been undoubtedly the car's forte. Regardless of the driving modes you select, the car will get up to speed in a fuss-free and quiet manner. While it's not as eerily quiet as a full on hybrid car like, say, a Hyundai Ioniq hybrid, you're not drowned out by the engine noise. More importantly, external noises are kept well at bay even at illegal speeds. Travelling through long sweeping bends and tight hairpin corners at high speeds, the C200 manages to hold itself well. You get a tinge of understeer should you decide to be foolish and attack a corner too quickly, but never to a point of losing control. So being a facelift, what's new with the car? You'll certainly need a keen eye to notice the tweaked bumpers and new head and taillights. But changes are more obvious when you step into the car. 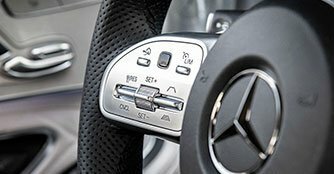 Within, there's now a turbine-inspired start/stop button and drivers are now faced with a new multi-function steering wheel with touch sensitive buttons that control both the optional high-resolution 10.25-inch infotainment system and the 12.3-inch instrument cluster. 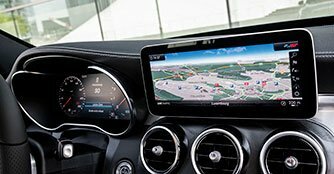 Unfortunately, unlike the all new Mercedes-Benz A-Class, the new MBUX infotainment system doesn't find its way to the C-Class. What does find its way to this ever popular sedan, however, is the operation of infotainment system via the touchpad with controller that features a new haptic feedback and a new generation voice comand system that's capable of operating things like the heated seats and air-conditioning system. 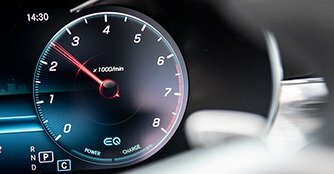 Instead of just being another ordinary compact executive sedan that fights with cars like the Audi A4, the BMW 3 Series and the Lexus IS, the Mercedes-Benz C-Class manages to better its already successful formula by boosting its performance, driveabililty and fuel consumption with its mild hybridisation in the form of a 48V onboard power supply. Unexciting as its looks may be, this facelifted C-Class in its Elegance trim is quite a handsome thing, and to this eyes, far more unified and majestic in the metal than the E-Class. The balance between its size and on-road presence is well-struck and the body gets decked out with the chrome grille that's topped off with the grand three-pointed star badge right at the front of the bonnet. Much like the S-Class, you would think, but such a thought would just simply mean that this C-Class will continue to do well in its segment when it arrives in Singapore at the end of this year.